This Kit from IOGEAR provides one 2-Port USB Cable KVM Switch along with two DisplayPort to VGA Adapters, so you can share a single keyboard, mouse, stereo speaker system, and monitor between two computers that have a VGA or DisplayPort output. The switch comes with integrated cables that sport one VGA port as well as two USB and two audio connections on each cable. 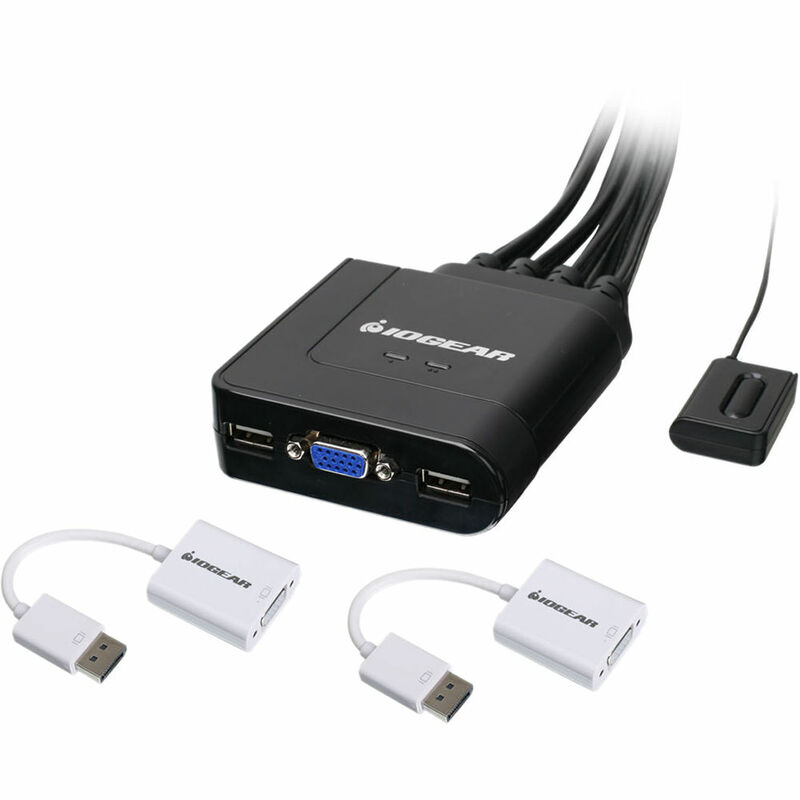 The two included adapters convert these VGA connections on the cable to a DisplayPort interface, letting the switch access DisplayPort-equipped notebooks or desktops. Box Dimensions (LxWxH) 13.35 x 9.0 x 2.45"